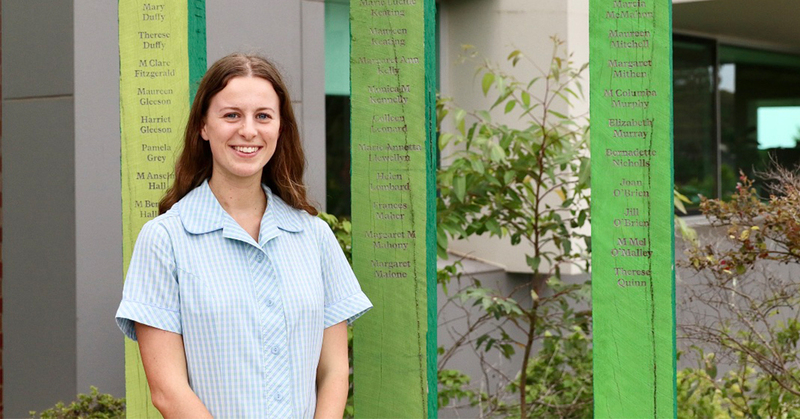 During the busyness of Year 12, 2018 College Co-Captain Sophie had a simple but effective approach - “I prioritised the important things – health, study, family and friends and had a great year”. Sophie maintains a healthy perspective on life and her studies and always tries to “find ways to enjoy each day”. She looks with great affection and satisfaction on her time at Mater Christi and her final year as College Co-Captain. Sophie intends to take a gap year in the UK for 2019 and looks to the future with confidence. “Opportunities will open, or I will create them.” This approach was evident throughout Sophie’s time at Mater Christi where she was involved in leadership programs, multiple sports, exchange experiences and anything new that arose. Sophie achieved an ATAR of 92.8 and while she was sad to leave Mater Christi, “I am jealous of the Year 7 girls”, she is realistic and excited by the future. This forms part of a series of stories from the class of 2018. For an overview of student achievements and academic results, read our post Celebrating Year 12 2018.